Our therapy services provide treatments for those who have experienced a decrease in independence or function from joint replacements, fractures, orthopedic surgical procedures, stroke, post-cardiac rehab, respiratory disorders and debility. Through the use of specific exercises and activities, special equipment and an individualized treatment approach, our therapists and staff work to strengthen muscles, restore movement and function to increase independence and gait training. 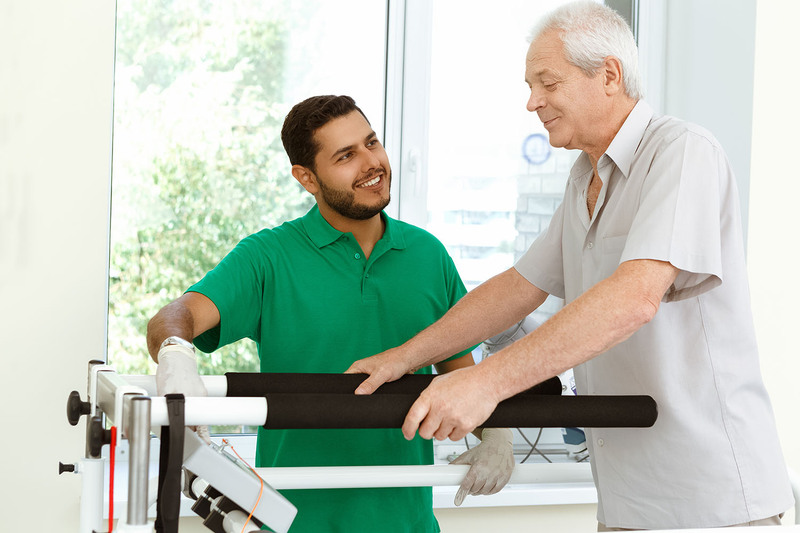 Our rehabilitation team, in a bright and cheerful surrounding, is here to assist each resident in reaching the highest level of independence possible.